The theme we’ll be developing on our Art Paris stand this year will involve tales of black and white. Selected works will be based on this theme and on recent developments at the gallery. A venerable rule of physics tells us that white is an entity combining all the colors of the spectrum, whereas black is the absence of color, hence shadow. As a reminder of our show titled Expressive, Vibrant, Constructive, which featured a certain number of works by Félix del Marle (1889-1952), co-founder of the Espace group, we want to show a work that is historically significant in so far as it employed the moiré effect of kinetic art, which entered the sphere of experimental painting as early as 1910—the work is a gouache of 1929 titled Cinétique. It seems incredible once you realize that Victor Vasarely (1906-1997) developed his black-and-white kinetic works twenty years later. We will also be showing Proposition Inverse, an amazing diptych by Aurelie Nemours (1910-2005), who was very much at home with black and white ; here she delivers a fine lesson in oil painting. Black is the primal ingredient of certain artists such as Charles Bézie. For Bézie there exists not just one black, but a multitude of them, which he combines with the skill of a mathematician ; in his constructions, thickness accompanies the substance of the canvas. 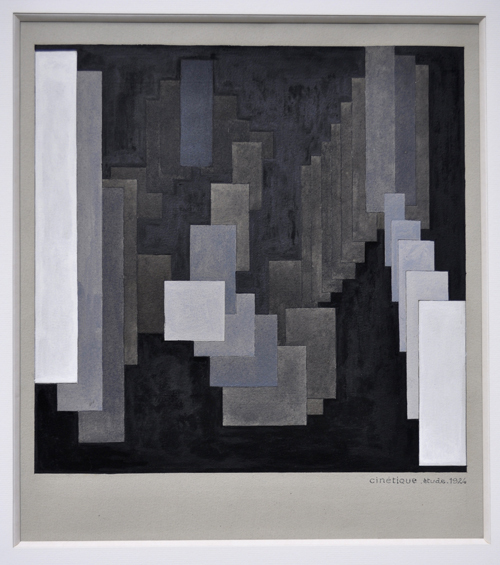 And who better than Claude Pasquer knows that black and white are full-fledged colors ? His works begin as scores that are steadily covered with black or white, allowing the ground to show only as thin strips on the surface. Pursuing the musical register, Ode Bertrand offers a refined interpretation of a Scherzo. The selection of a work by Jean-François Dubreuil, winner of the Aurelie Nemours Prize, illustrates his reworking of a newspaper in which only the photos appear (as black zones, pursuant to Dubreuil’s code). We will also be showing a few works by Timo Nasseri, an Iranian artist who lives and works in Berlin, and with whom we’ve collaborated on several group shows. Nasseri is known above all for his sculptures and reflecting works. Jean-Michel Gasquet, who did battle with color, has returned to black and white : his latest series is entirely devoted to diaphanous forms emerging from the whiteness. Worth rediscovering is a work on unstretched canvas from the 1980s by Henri Prosi (1936-2010), involving the deconstruction and reconstruction of a large work cut-out and glued to the unstretched canvas. We will furthermore revisit the gallery show called Necessary Reality, featuring Jean-Gabriel Coignet and Antoine Perrot, each of whom, in his own way, concretely anchors his artistic explorations in everyday reality.